Apple on Thursday added yet another sports channel to the ever-expanding Apple TV content lineup, while Twitter updated its iOS app with a new feature that allows for direct messages to be sent to groups. Sports aficionados can now take advantage of video content from the Sports Illustrated-backed 120 Sports channel on the Apple TV. The service brings news and highlights from Sports Illustrated, the NBA, NHL, MLB, NASCAR, and various colleges. 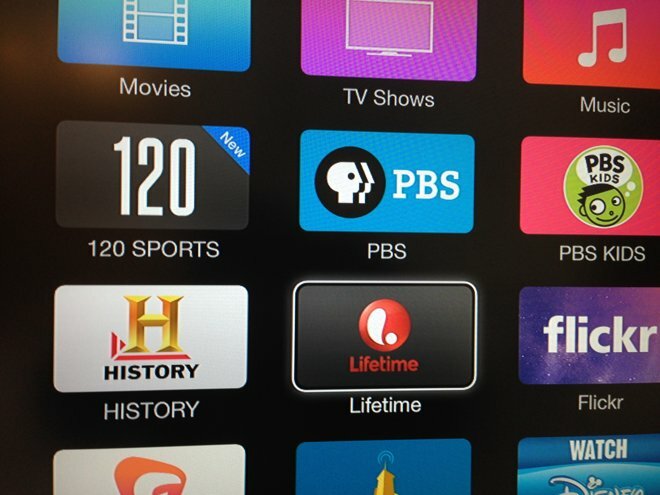 The Apple TV channel joins 120 Sports's existing apps for the iPad and iPhone. It is the second sports-related channel added to the mix in as many weeks, after Tennis Channel Everywhere came on board just before the start of the Australian Open. Reader Phillip also sent word to AppleInsider on Tuesday that Apple has added the "tenplay" network for Cricket viewers in Australia. Twitter, meanwhile, has rolled out a long-awaited feature that allows users to send direct messages to groups of up to 20 people at once. Importantly, all of the users involved in a direct message group do not need to follow each other in order to see the chat. Additionally, Twitter's iOS app now has a facility for capturing and editing videos directly within the app. Videos can be up to 30 seconds long, and they need not be captured live— videos from the camera roll are eligible as well.